Sambar is a commonly used dish in south India. 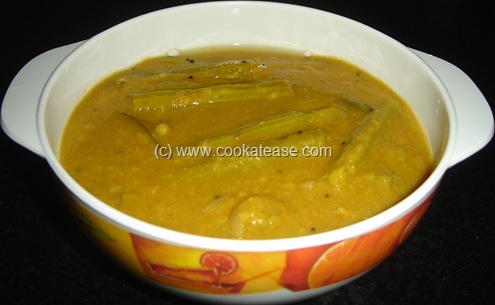 Sambar is an important menu at home and also served during marriage feast. 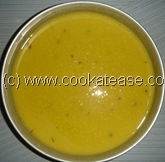 Boil toor dal with ¼ tea spoon turmeric powder and a few drops of oil in a pressure cooker. After cooling down, mash it and keep aside. Chop drum stick,green chilli,onion,tomato and curry leaves. 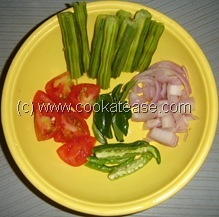 Take 2 cup of water, add chopped vegetable and other chopped items. 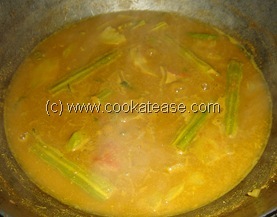 Add sambar powder,salt,hing powder,and tamarind juice. Boil this till the vegetables are soft and if necessary add more water to cook. 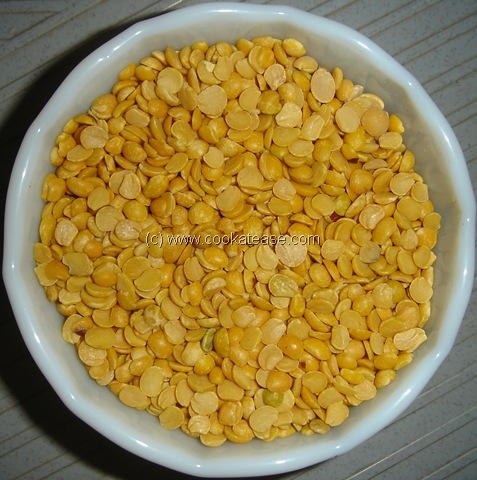 Now add mashed toor dal, cook for 5 minutes. 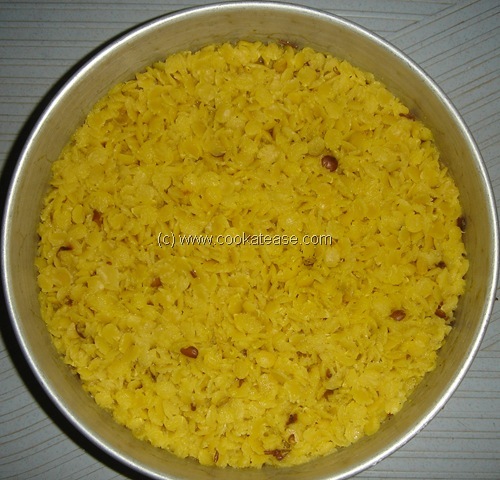 Now give seasoning and serve hot. Toor dal must be fully cooked and mashed. 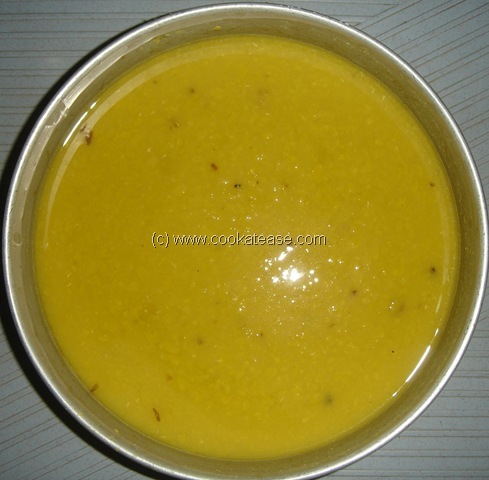 Toor dal can be soaked for 30 minutes before pressure cooking. 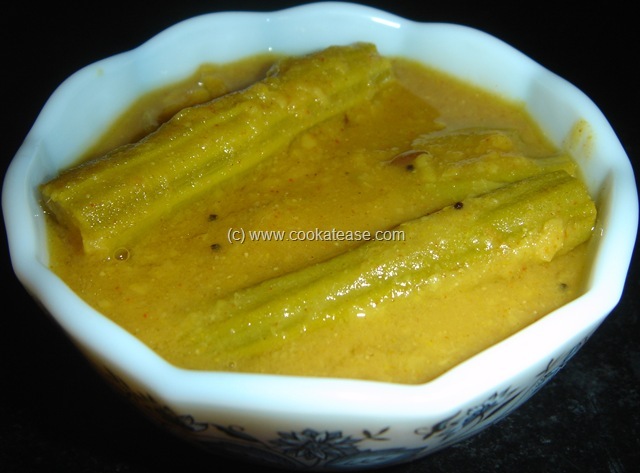 Sambar can also be made with anyone or in combinations of the vegetables like: brinjal, radish, ash guard, beans, carrot, capsicum, potato. 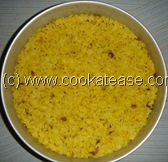 Suitable for Rice, Idli, Dosa, Vada.